Automated Grader is an automated grader/marker for use by instructors in Microsoft Excel and Microsoft Office application courses. Excel Grader performs static analysis on Microsoft Excel workbooks. The program compares a student workbook with the instructor correct version of the workbook. The student workbook is marked and a grade report is embedded. 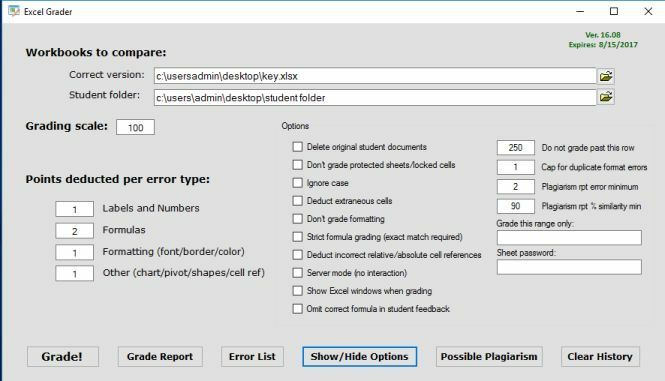 Excel Grader includes reports and a tool for plagiarism detection.